In 1999 Megatech established its heavyweight transportation group with two particular goals in mind. 1) To alleviate the difficulties of scheduling, transportation, set up, and other critical negotiations which can often be the cause of confusion between the time of purchase and installation. 2) To take the initiative and personal responsibility to make sure that all equipment is in the best condition for maximum operational efficiency from purchase to installation. This service proved to be so timely that our staff rapidly grew and we continue to grow our skills, experience, and equipment to this day. 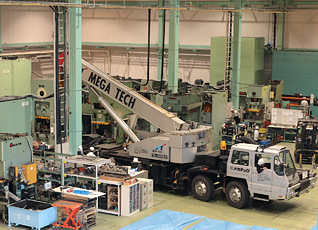 Presently Megatech operates some 10 vehicles of various sizes (including a 50 ton oversize flatbed trailer and a 60 ton Gantry crane) in delivering and setting up all presses and equipment that we sell. No task is too small or large for our experienced staff who will not only install, but properly center and prepare your equipment upon delivery. 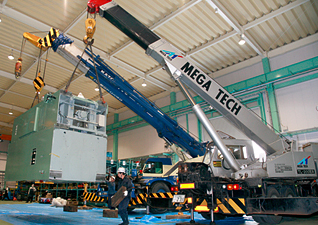 The megatech heavyweight transport team is not only limited to deliveries and installations. 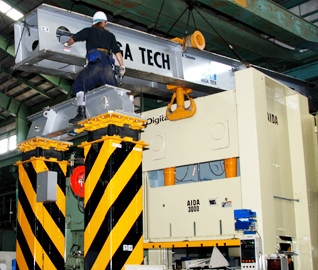 We can change your factory layout or re-set machines, or even re-locate entire factories. 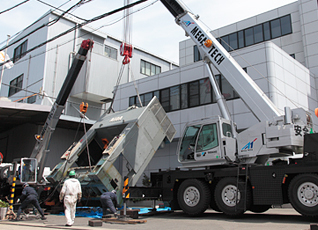 We can load or store machinery, pull it out of storage or lay it down. Stand it up and balance your heavy machinery. We can even help you with wiring selections and take care of any crane projects that may be on the site. Long years of experience and training have paid off to give us the confidence to take care of each project and request with a responsible professional attitude. At Megatech we are also able to take on sudden and urgent projects subject to our availability, so don`t hesitate to contact us with your requests. 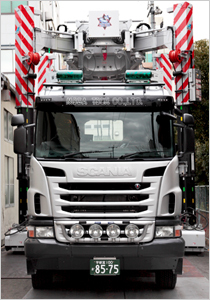 1) Transport and installation of heavyweight materials and equipment. 2) Re-location of factories and facilities. 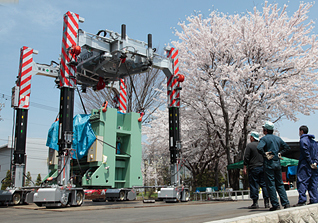 4) Machinery table and column attachment and adjustment. 5) Laying down and standing up of machinery and tie rod attachment.